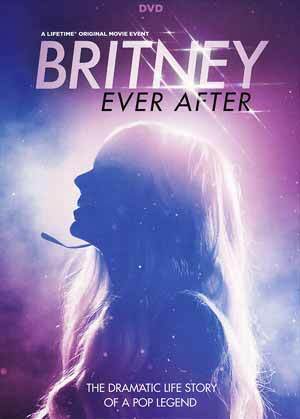 Britney Ever After follows the tumultuous story of pop icon Britney Spears (NATASHA BASSETT): her rise to fame, fall from grace, and eventual triumphant resurrection, firmly securing her position as one of the world’s greatest entertainers. This release comes with a matted slip cover and nothing else, no digital code or features. Given this is a made-for-television movie, it has that TV-like appearance with plenty of bright colors and, for standard def, okay detail. The Dolby Digital 5.1 track meanwhile is adequate though considering there is no actual Britney Spears music, any music is generic (not that Spears’ pop music was amazing) while dialogue came through well enough. Overall, Britney Ever After is, to put it bluntly, awful movie which should come to no surprise since it is a Lifetime Original Movie, but I suppose if you watch this with a group of friends, could make for a fun MST3K-like party as guests can easily mock everything from the bad performances and clichéd writing.